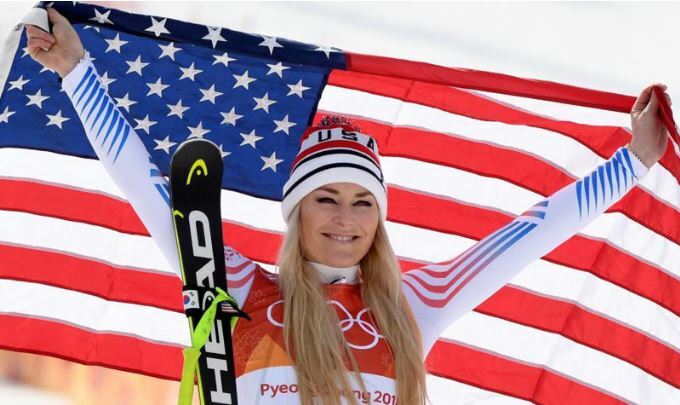 US ski great Lindsey Vonn announced on Friday (Feb 1) she would be retiring after this month’s Alpine world championships in Sweden because her hurting body was “broken beyond repair” and screaming at her to stop. “I have accepted that I cannot continue ski racing. I will compete at the World Championships in downhill and SG (super-G) next week in Are, Sweden, and they will be the final races of my career,” she said on Instagram. Considered the greatest female skier, with a record 82 World Cup wins, Vonn had suggested last year that she might continue beyond this season so that she could race again in the Canadian resort of Lake Louise, where she has been a frequent winner. The 34-year-old former Olympic downhill champion has been plagued by knee injuries, however, and she said in a tearful interview with Austrian state broadcaster ORF last month that she might have to quit immediately. In the lengthy post on Instagram, Vonn said the past two weeks had been emotional and that the decision was the hardest of her life. “I have always pushed the limits of ski racing and it has allowed me to have amazing success but also dramatic crashes,” she said. Vonn said she had felt better than for a long time after recovering but another crash in December injured her left knee, causing three fractures that needed intensive therapy. Vonn said she was more upset about not achieving goals than retirement itself, but would look back with pride on what she had done.